Tucker Carlson had Robin Bronk, CEO of the Creative Coalition on his show yesterday. She’s an old friend of his, but that did not spare her from Tucker’s onslaught. He laughed at her and mocked her for stating that the funding of the arts was a dire necessity. Uh no… it’s not. 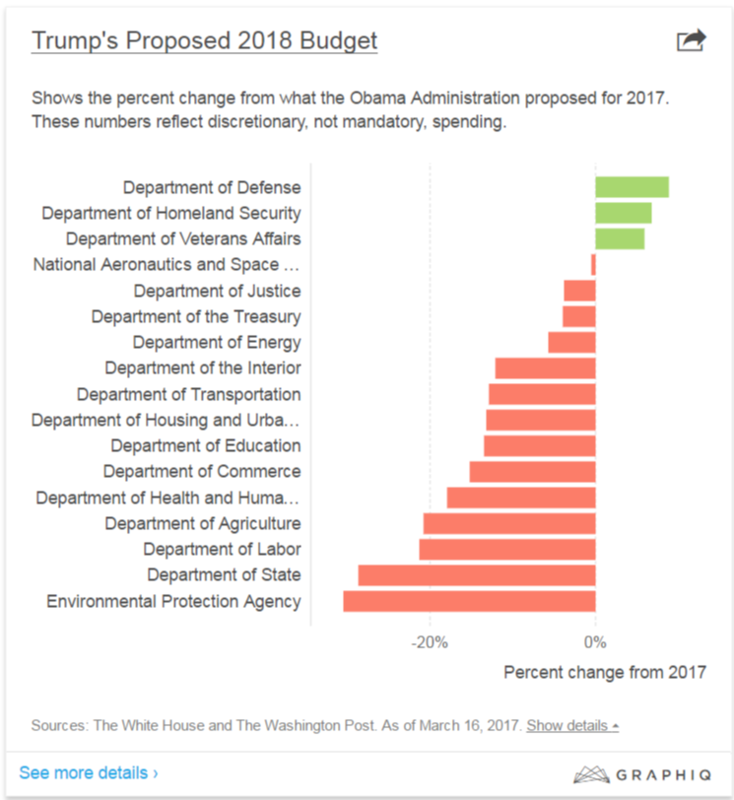 Trump’s proposed budget will slash $148 million from the National Endowment of the Arts. I am all for that… in fact, I wish all funding would be stripped from them. They have become a political weapon and they are perverted in their message. I am no fan of the NEA. The cuts include PBS and other initiatives like Sesame Street. Good. Both of those make a considerable profit. They do not need funding from the US government. “The NEA is in effect, welfare for rich, liberal elites,” Carlson began. “Why should taxpayers be subsidizing entertainment for rich people?” Exactly right! Gee, maybe we should use that money to, I don’t know, harden the power grid? You know, before North Korea or someone else sends us back to the stone age. 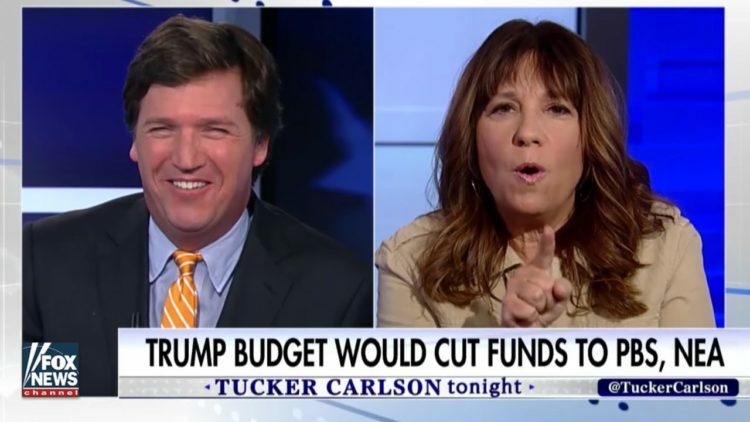 Fox News host Tucker Carlson discussed President Donald Trump’s proposed budget cuts to the national endowments for the arts with Robin Bronk, CEO of the Creative Coalition, on his show Friday, several times laughing and mocking her for reasons she said taxpayers need to continue funding the arts. Trump’s proposed budget cuts $148 million from the NEA, which includes PBS and other public art initiatives. Bronk pushed back on that point and said the NEA gives grants to every congressional district in the U.S., not just the liberal districts. She also explained that for every dollar invested by the NEA, the return is at least $10, despite only accounting for .001 percent of the federal budget. She also alleged that NEA investments produce economic development. I agree with Carlson here, the rich should pony up for these programs since they are primarily the ones who benefit from them in one way or another. Bronk said she doesn’t understand at all how anyone can advocate for cutting NEA funds, given that they help American institutions like, say, the military. I think I speak for all of us when I say, huh? Since when does the NEA benefit the military? I don’t consider munitions as art, not any kind this leftist would appreciate anyway. “Let me ask you a question: What role did the NEA play, in say, the Battle of Fallujah,” Carlson asked, referencing the bloody battle in the early stages of the Iraq War. Bronk couldn’t answer that, leading Carlson to burst out laughing. “I mean, cmon, helps the military? Let’s be real,” he said while laughing. At the end of the interview, Carlson had a very interesting question for Bronk: ‘Why do artists want to become “puppets” of the government by taking its money to produce art?’ “Don’t you think it’s kind of funny that artists who are ‘against the grain’ and ‘thinking for themselves,’ all of a sudden they’re queuing up for their handouts from taxpayers?” Carlson asked. “Why wouldn’t artists just strike out on their own and be independent?” Instead of answering that reasonable question, Bronk stated that investing in arts makes America a first world power, which is why America must continue funding the NEA. That is bull crap and just nonsensical. We should be funding things that keep us alive and keep the nation thriving. The rest should be privatized. It’s time to cut these leeches loose starting with the NEA.